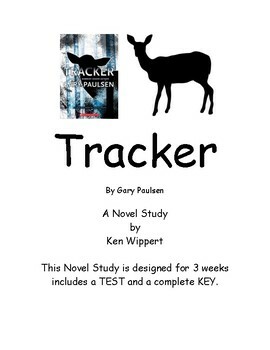 This novel study for the book Tracker by Gary Paulsen can be completed independently, in groups, or whole class. It is designed for 3 weeks, each week includes 30 to 40 pages of reading, and 4 worksheets, one each of the following: Vocabulary, Multiple Choice questions, Written Response Questions, and Literary Elements. 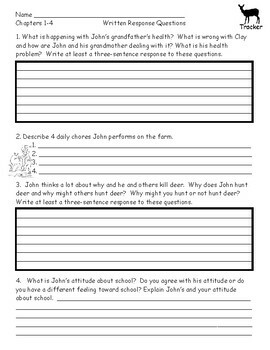 The first two worksheets are generally for average students and the later two will require higher order thinking skills. 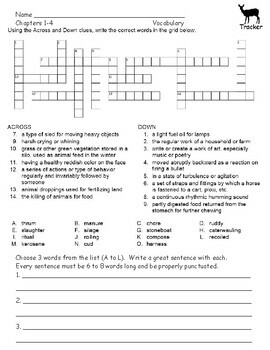 There is a complete answer key attached.